London Miles presents an exclusive print release to celebrate Yoko D'Holbachie's first U.K solo exhibition, entitled "Living in your Dreams." 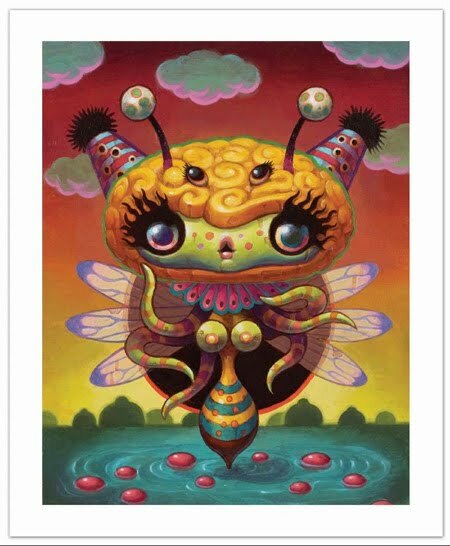 Pictured above, Bee on the Water is A3 in size and an edition of only 25 prints. Giclee Print on somerset paper, numbered by the gallery and Unsigned for £75. Prints and original art will be available for purchase at the Opening reception of Living in Your Dreams, or you can pre-order prints or receive the online preview of the complete exhibition by emailing Sales@Londonmiles. PLEASE NOTE THE NEW GALLERY LOCATION!